Everyone knows what ghosts are, but the question is does everyone believe in them? 45% of Americans believe in ghosts and it’s been said that ghosts have been around longer than many people think. They have been here since the first century A.D when Pliny the Younger wrote the very first ghost story where he described seeing an old man with a long beard haunting his home in Athens. Fast Forward to present day and people casually talk about ghost stories, and they're very interesting to hear. 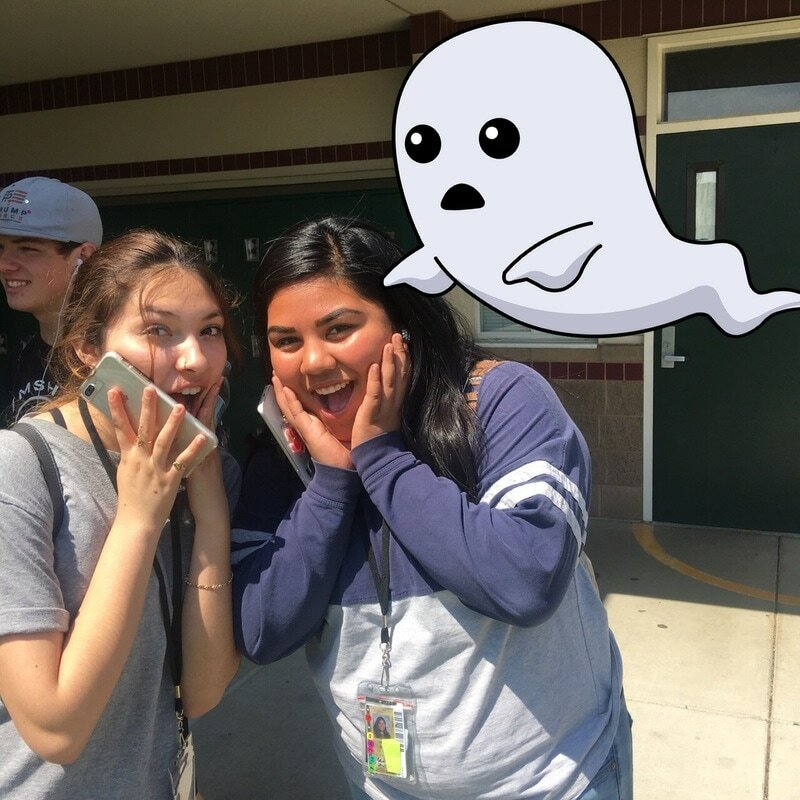 Here are a few stories and positions in which Buhach Colony students stand with ghosts. Junior Eyanah Ward was questioned about her beliefs in ghosts. She stated, “No I don’t believe in ghosts. I only believe in spirits.” Spirits are said to be entities that have not made their way to the next life and are stuck in the mortal world. There are ones that are harmless and are simply here to finish what they were unable to, while others are harsh and intend to harm the living. experiences with them before. She explained one event, “I was on my laptop around 10 at night and I was sitting on top of my futon in the living room. My dad was sitting in his recliner and watching TV and my dog was laying in front of the futon, which is directly in front of the sliding glass door. So I was on my laptop and every once in awhile I felt the need to look up and check on everyone. I looked up at the sliding glass door first and I saw a tall, black, shadowy figure pass the door and my dogs head perked up and he saw it too. I told my dad once I saw it and my dad went out in the back yard and looked, but he didn't see anything.” Imagine seeing a figure in your backyard! Gives me the creeps. Junior Logan McParland, stated “Yea, they’re lit! I always heard stories from family members and see videos online. There was one in this cabin we have and the lady that used to live there always wore a scarf. There's a bunch of stories of people waking up and seeing an outline of a lady with a scarf in the kitchen. At the same cabin, my godfather walked in and found all the cupboards open and dishes everywhere... and he was the only one there!” Such a crazy story! However, senior Jonahs Chavez does not believe in ghosts. Chavez states, “All evidence of ghosts is very shady. All paranormal shows and accounts of the supernatural have very weak evidence. For example, TV shows will flat out fake things like ghost voices or photoshopping apparitions. People who say they have seen ghosts typically are looking for a ghost. I say that because that means they are trying to find any reason to validate that they saw a ghost. Most of the time there are very plausible explanations to what they think are ghosts.” Both reasons responsible for the beliefs of Buhach students are very reasonable, so now the question is… what do you believe?